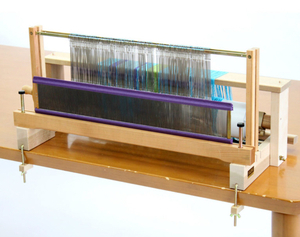 For threading a ready-made warp, or winding and threading your own warp at a table. 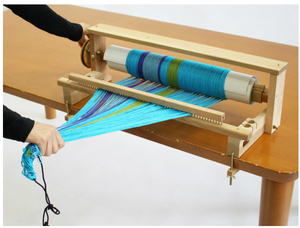 Use this tool with Kenzo's Dividing Bar Set for beaming your own warps. Available in sizes for 60cm/90cm/Piccolo looms. 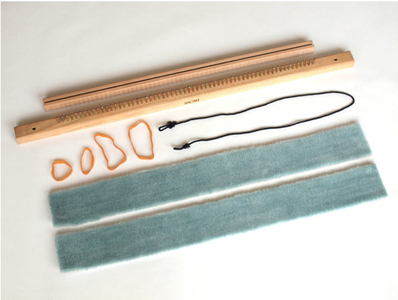 N.B.- If you wish to use it with SAORI Piccolo harnesses and reeds, you will need to add optional attachments. 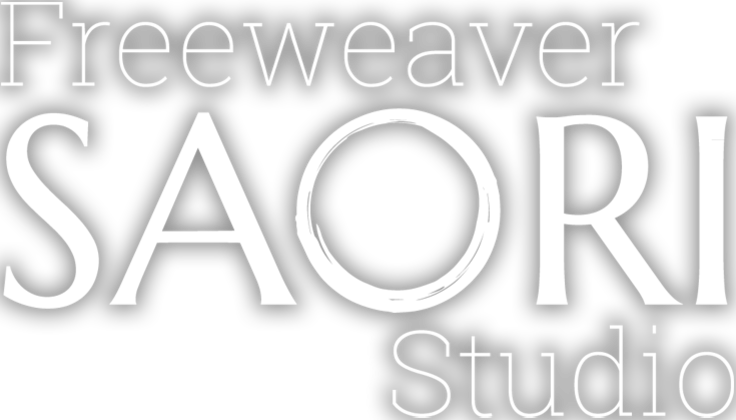 Please contact Freeweaver SAORI Studio for more details.